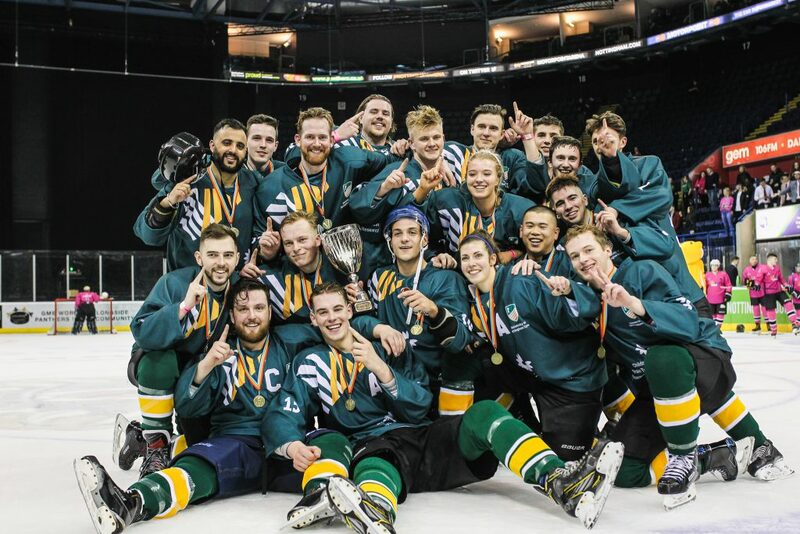 In what has turned out to be a condensed edition of the Nottingham Varsity Series, with a frozen pitch having called off the fixtures due to played at the Nottingham Hockey Centre at the end of January. The action came thick and fast with 13 Varsity points up for grabs over an 8 day period at the end of March as both sides came together. 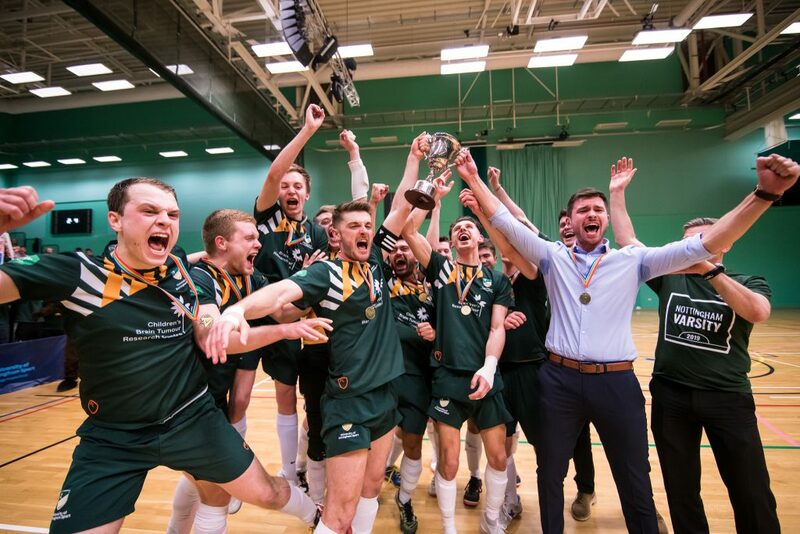 With UoN looking to wrap up a record breaking season in BUCS competition, seeking the final cherry on top as champions of university sport in Nottingham. On Wednesday 20th March, the series kicked off with Super Wednesday at NTU’s Clifton Campus. Confident wins for 11 of UoN’s teams helping to secure the first point for Uni of and set the tone for the upcoming fixtures in the series. 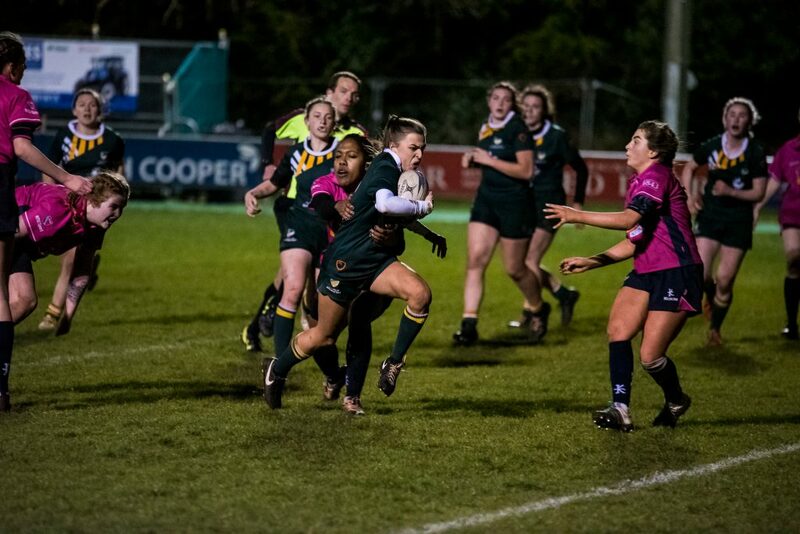 Following a sensational BUCS Big Wednesday for the #GreenandGold, the series re-launched on Thursday 28th March in a close game of Rugby League at Lady Bay, with NTU taking the victory with a 22-24 score. 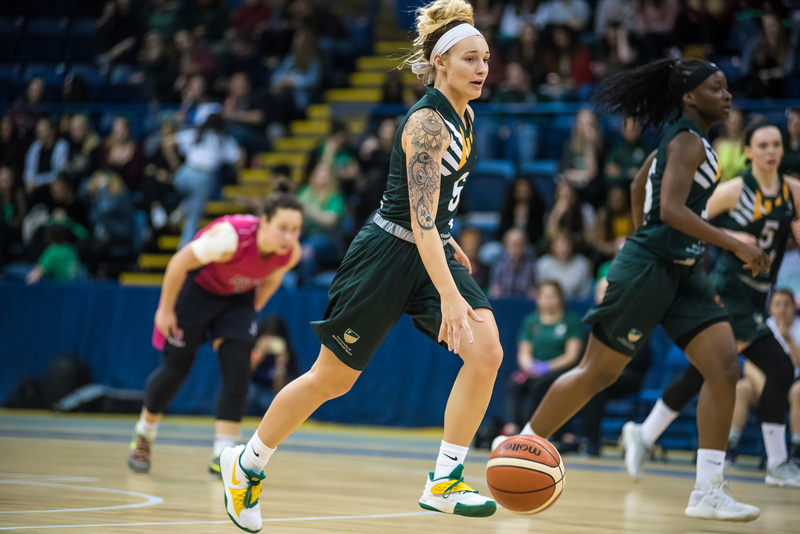 Under the bright lights of the Motorpoint Arena, the Basketball fixtures saw the honours were shared, and both UoN and NTU took a point each. The series stood tied at 2-2 with all eyes on the next week of sport that had the potential to go either way. However, the strength of the University of Nottingham shone through as they sealed victories in 9 of the 11 games on Super Sunday hosted at the David Ross Sport Village. That evening, it was an equally dominant performance for the Women’s Rugby Union side who swept away their rivals by 96-5. It was a closer fixture for the men who just came up short with a 25-20 loss to NTU, but it was fair to say that the momentum was now with UoN. This year’s sold out Ice Hockey fixture at the Motorpoint Arena did not disappoint. After a sensational display from UoN’s Domenico Gullo who netted 5 of the 9 goals, Uni of took the tie 9-6 in the highest scoring match between both sides in the series’ history. Despite not being a ‘Super’ Wednesday in name, it was still very much one for the #GreenandGold as all 3 points on the day went their way. After a strong season for Ladies’ Lacrosse, they led the game from the first draw and took a 18-5 victory over NTU. Men’s Lacrosse tore up the form book after NTU came into the fixture off the back of a Championship final at BUCS Big Wednesday. UoN ended up sneaking an extra time victory in sudden death in front of a the away crowd at Clifton Campus. In the other game of the day, UoN Men’s Football, also coming off the back of a BUCS Big Wednesday final did what was needed and got the only goal of the game against an NTU side sitting in the division above them. With only 1 more point needed for UoN to seal the series, on Thursday evening the David Ross Sports Village played host to one of the largest Futsal fixtures in England. In front of a pumped up crowd, the Women’s Futsal side took a 7-4 victory before the Men took to the court. After a tough first half, which included a 90 second period when they conceded 3 goals, UoN trailed to NTU by 4-1. But the boys came out with the determination to turn the fixture around and so they did. Much to the delight of the home fans, UoN came away with a 6-4 victory having scored all 5 of the goals in the second half. The other fixture that evening saw a rain soaked Lady Bay play host to American Football. Under the lights (and bad weather), UoN managed to shutout NTU in a low scoring 7-0 match and seal another point. Despite the series victory sealed, attention will turn to the Men’s and Women’s Cricket fixtures on Friday May 17th as both sides will be keen to collect the final 2 points of the series and end the year and series on a high.